A recently released study by the Pew Research Center’s Internet and American Life Project shows that teens are texting more than ever and, it seems, they prefer texting to phone conversations. The findings don’t bode well for motor vehicle safety groups who are trying to spread the word about the dangers of texting and driving. The greater portion of the increase in texting by teens falls in the age group of those just beginning to drive. 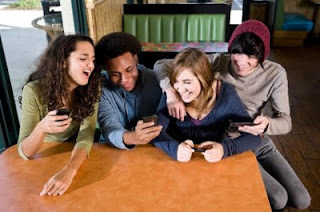 The typical American teen is sending and receiving a greater number of texts than in 2009. Overall, 75% of all teens text. The median number of texts (i.e. the midpoint user in our sample) sent on a typical day by teens 12-17 rose from 50 in 2009 to 60 in 2011. The heaviest texters (those who exchange more than 100 texts a day) are much more likely than lighter texters to say that they talk on their cell phone daily. Some 69% of heavy texters talk daily on their cell phones, compared with 46% of medium texters (those exchanging 21-100 texts a day) and 43% of light texters (those exchanging 0-20 texts a day).